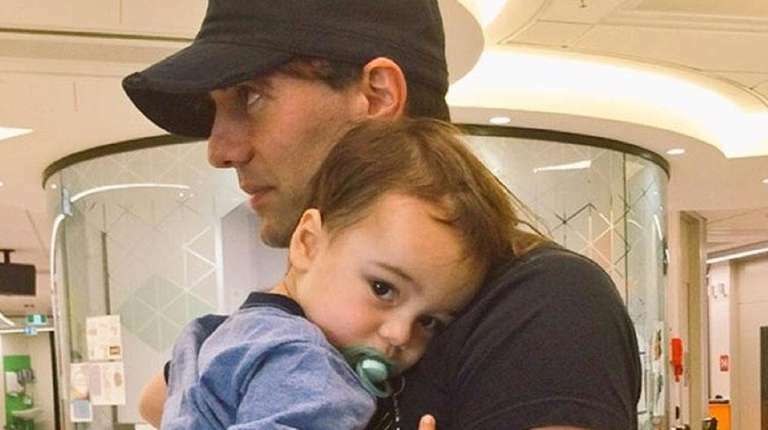 Magician Criss Angel is thanking fans for their support after putting his long-running Las Vegas show on hold to fly to Australia to be with his leukemia-stricken son. "4th day chemo -- Shaunyl, Johnny & I can't thank u enough for the overwhelming outpouring of love, prayers & support #amazing," Long Island native Angel, 47, tweeted Tuesday, sharing a photo of himself with the boy's mother, Shaunyl Benson, and their sleeping child, Johnny. He reposted the statement on Instagram, adding the hashtag "#curecancer" and substituting an image of himself in a hospital, standing and holding the boy. Angel never previously disclosed he is a father. The illusionist -- born Christopher Sarantakos at Hempstead General Hospital and raised in Elmont until fourth grade, when his family moved to East Meadow had posted on social media Friday that, "in light of a family emergency the news I was going to announce this weekend will be postponed. Thank you xc." A subsequent news release specified he was postponing some performances of his Cirque du Soleil show "BeLIEve" for the first time in seven years to be with 20-month-old Johnny Crisstopher Sarantakos, who was diagnosed with acute lymphoblastic leukemia. The statement said Angel planned to return to the Luxor show on Nov. 4. Angel later tweeted a photo of himself cradling a sleeping child and said in another post, "Thank you for all of your thoughts and prayers."